When dealing with acne skin care, most of the medical professionals commonly suggest that people affected with acne must practice certain acne skin care methods that will help improve the condition of their skin. Acne, as you may already know, is a very severe skin disorder that affects thousands of people from all over the world. It not only affects the surface of the skin but also the inner layers of the skin. Acne usually occurs on the face, neck, chest, and back, and it starts during the adolescence period. First of all, personal hygiene is very necessary for fighting acne. So as what most experts usually suggest, you should gently clean your skin with a mild cleanser at least twice a day. This simple acne skin care step is deemed important for fighting acne since washing your face or the other affected areas will wipe away the acne-causing bacteria found on the skin. Also note that although you are sometimes told to scrub your face, scrubbing is not a good acne skin care move since it will just trigger the development of acne, worsening the condition. In addition to this acne skin care step, it is worth noting that astringents are not always suggested unless the skin is very oily. And, they must only be applied on the oily spots. This last acne skin care tip holds that people who are being treated for acne must change some of the cosmetics they use. Note that in order to avoid the onset or the development of acne, the cosmetics you plan on using as the foundation, blush, moisturizers, and eye shadow should be oil-free. Aside from that, this acne skin care tip also holds that you must avoid oily hair products for they may cause closed comedones. Therefore, those products that are labeled as noncomedogenic should be applied. It is a fact that many of us are very conscious of our skin condition. And as such, we are always wanting to have a fresh, good-looking skin as much as possible. Unfortunately, many of us also fail to come to the conclusion that simple steps are the best ways to accomplish this goal. We often are blind enough that we don't see what's really right or wrong for our skin. We often fall in so much frustration and desperation that make us go buy any high-priced beauty products that in the end just turn out to be a waste of time and money, and even worsen our acne. 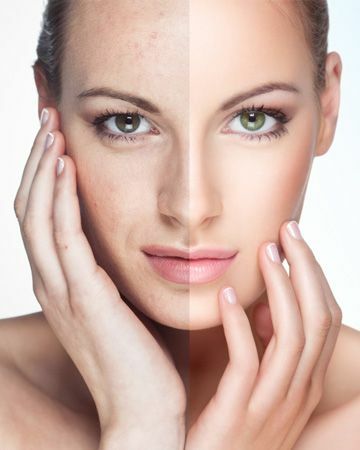 Hopefully, the above-mentioned tips will be a good start to help you enhance your skin condition.